The development of the University over the years has been gradual but impressive. 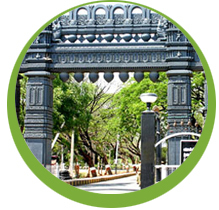 The University was initially accredited with ‘B+’ grade by the NAAC in 2003 and reaccredited with ‘A’ grade in 2009. It occupied 38th position in national level rankings by India Today-Nielsen Survey. The University, situated in a sprawling area of about 640 acres, has seven colleges on the campus, with a network of 18 constituent, 529 Affiliated colleges. It has Post-Graduate Colleges at Subedari (Hanamkonda), Nirmal, Khammam, Jangaon, Jayashankar Bhoopalpally, Mahabubabad and University Engineering College at Kothagudem. Among the affiliated colleges, the University has 395 Arts & Science; 3 Law; 8 Engineering; 53 Education; 38 Management; 8 MCA and 24 Pharmacy colleges under its jurisdiction. The University is vibrant with research activities carrying out the projects sponsored by various funding agencies. As many as twelve departments of the University have been identified under DRS-SAP, eight departments under DSC-FIST, nine departments under UGC BSC Non-SAP and two departments under DST-INSPIRE programmes. Kakatiya University established Memorandum of Understanding (MoU) with several universities and research institutes for collaborative research. The university has held its flag high in the domain of Sports and Games at national level competitions. It has hosted the Inter-University National Youth Festival twice successfully. Social activities under taken by the National Service Scheme brought laurels to the University at the national level. In an effort to give impetus to the educational, research and faculty exchange programmes have been undertaken with foreign universities. The University has strong alumni associations with branches abroad and the NRIs are contributing generously for the development of the University. 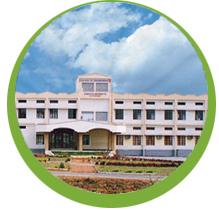 The Kakatiya University was first accredited with B+ grade in the year 2003. The University was subsequently re-accredited with ‗A‘ grade in 2009. It occupied 38th position in national level rankings by India Today-Nielsen Survey. Kakatiya University established Memorandum of Understanding (MoU) with several universities and research institutes for collaborative research.